While the Mercedes GLK Class is one of the least expensive makes of the Mercedes Benz brand, it’s certainly not short on the hallmarks of the German manufacturer’s stellar reputation. 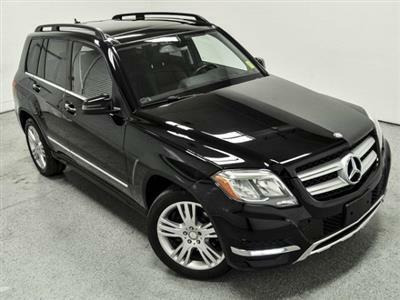 A small luxury crossover, the GLK Class exudes the solidity and sleek performance that unmistakably defines a Mercedes. Swapalease.com has Mercedes GLK Class lease deals available for you to browse on our online database – the world’s largest lease trading marketplace. If you don’t find the Mercedes GLK Class lease deal you’re looking for, let the Swapalease.com customer service team know so we can email you when one comes available. Leasing is a hassle-free and affordable way to drive a top-end vehicle like a Mercedes, and Swapalease.com’s service makes it easier than ever by putting you in touch with a current leaseholder who wants out of his or her contract. Just email the leaseholder, and you are on your way to taking over their lease payments and driving your dream car! The five-passenger Mercedes GLK Class comes in two styles: the GLK350 and the GLK250 Bluetec, primarily separated by their engines. Mercedes 4Matic all wheel drive system is an option on the GLK350 and standard on the GLK 250 Bluetec. Dual zone climate control, leatherette upholstery, Bluetooth and more are also standard; options include a navigation system, upgraded sound system, rear-seat entertainment system and more. Take a look and see if the Mercedes GLK Class is the vehicle for you.